Rescuers, turned away on a first attempt to save a moon bear, returned to finish the job and finally bring beautiful Honey home. 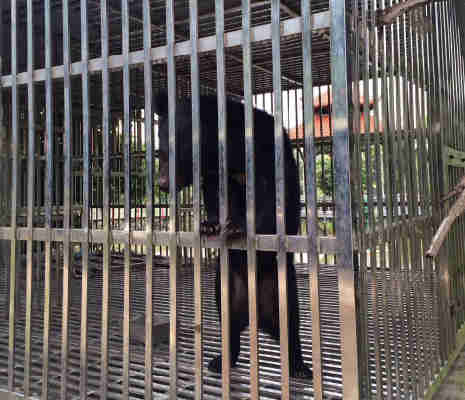 Following the rescue, 16-year-old moon bear Honey is recovering in quarantine at Animals Asia's Vietnam Bear Rescue Center where she will live out her days in a large grassy enclosure in a community of other bears. "Honey is recovering nicely in quarantine. She's eating well and beginning to get used to the new surroundings. In the next few weeks we'll be able to perform a full health check which will allow us to know more about any underlying health conditions." Attempts to rescue the bear in June as part of the #Halong2Home rescue operation hit a snag when the legal owner failed to appear to sign off the final paperwork. Animals Asia's rescue team and Quang Ninh Forest Protection Department officials were left with no choice but to return another day. During the rescue the team released 13 bears and took them back to the sanctuary - closing six bear bile farms along the way. But celebrations were muted as legal complications meant 14th bear Honey had to be left behind. But Honey's day finally arrived this weekend with rescuers being informed on Friday of a window of opportunity to finally free the bear from 16 years of confinement and bile extraction. "This farmer has done everything in his power to obstruct the transfer of the bear, but the inevitable finally caught up with him this weekend. It was bitterly disappointing to be turned away at the gates of the farm a few months ago, but we knew it would only be a matter of time till we'd be back. We just had to be patient and be ready for when the opportunity came round again. The situation is the same for the other 16 bears still on farms in Quang Ninh province. The farmers don't want to let them go and are attempting to defy the order from the Prime Minister's Office. We know that's not going to be allowed to happen and are constantly ready to save any number of these bears at a moment's notice." "The rescue team deserve massive credit for bringing Honey safely home. They had already tried to rescue her once only to be turned away. They promised then that they'd be back and they were true to their word. They never give up. Credit too must go to the authorities who have kept pushing for the transfer of this bear - despite the farmer's best attempts to keep her. The team received word the night before that the rescue was on and were advised to move fast in case the situation changed. It was a very small window of opportunity and we could not afford for anything to go wrong. 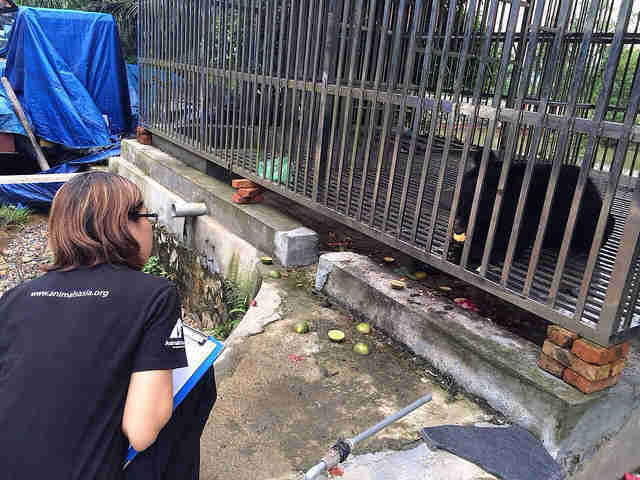 Honey's rescue means Quang Ninh province is one bear closer to being bear bile farm free. We urge the authorities to complete this process as soon as possible and complete the transfer of the remaining 16 bears to our nearby sanctuary." 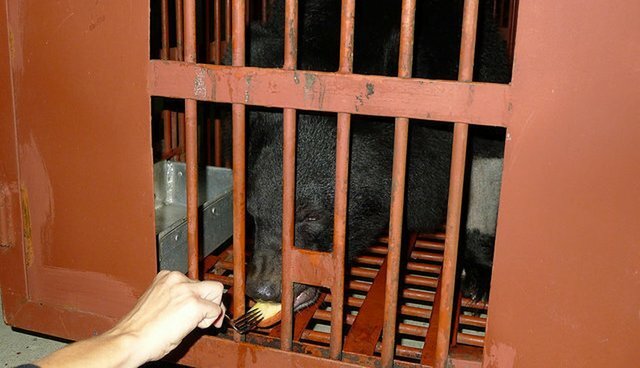 Over 1,200 bears still remain in cages on bear bile farms across Vietnam.